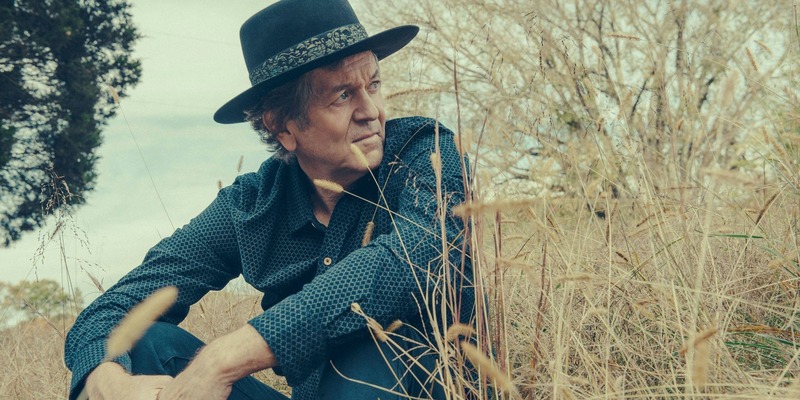 Last time we caught up with Rodney Crowell a few years back, we had him talking about his unique position as both a lauded poet songwriter and Nashville hitmaker. You could go on for days about Rodney Crowell’s credentials. There has been his decades–long collaboration with Emmylou Harris starting as the guitarist in her Hot Band, the spate of songs he wrote that became No. 1 singles, and his artistic legacy as one of the great, gritty songwriters of country music. 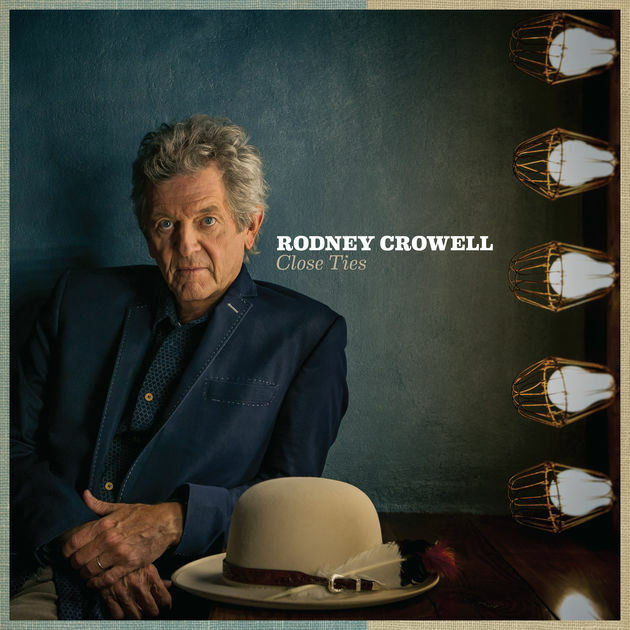 Rodney Crowell - "Close Ties"
Like anyone with such a decorated career, Rodney Crowell may grow old, but he’ll never truly become a relic of some bygone era. This past March saw the release of Crowell’s newest album, Close Ties, featuring collaborations with Sheryl Crow and Tommy Emmanuel. We took the opportunity around Crowell’s new album release to talk to him about the pre–war Gibson acoustics that inspire him and those scenes in the documentary Heartworn Highways when some of country’s greatest songwriters in the 1970s were just sitting around, playing each other songs that they were in the middle of writing. I wanted to talk to you about the scene in Heartworn Highways where you’re sitting around the table with all of those other guys trading songs. [I’m] wondering if that’s the scene from New Year’s Eve. See, I’ve never seen Heartworn Highways. Yeah. I’ve never seen it. I have a couple of copies of it, but I’ve never watched it. There are probably eight other guys in the scene I'm talking about. You and Steve [Earle] are kind of singing a tune. Roy Clark might be there, too. I guess I am less interested in that specific scene and more interested in that idea of songwriting in collaborative jam sessions. Is that something that you’re still a part of? Do you see that still happening with today’s new breed of young songwriters? Well, that happens. The particular salon song swap thing was really happening a lot in the late ‘60s and early ‘70s in Nashville. The particular group that I fell in with was myself with Steve Earle and a few other people: Townes Van Zant, Guy Clark, and Richard Dobson and Skinny Dennis Sanchez. That crew was a way of life. It started at 11 o clock at night. It usually lasted until dawn. We would get together and kind of show our wares, what we were working on, and take the risk of having them bat it down, you know? Or sometimes to prove what you were working on was a good scene. The songwriter rounds — minus a scene or two in Heartworn Highways — really started as something that was just you guys enjoying it. It wasn’t meant for the public, right? No, not at all. It was pre–public and it was [like], “Well okay, what are you working on?” I said, “Well I got this thing started,” and you’d play it in front of a group full of people that you admire and you’re fearful of, like Townes Van Zandt or somebody who is really supportive, like Guy Clark. By the end of the first verse, you know if your language is strong enough. Then, when you get to the chorus, if it’s true to the song and if you happen to make it all the way through the song, well then you know, okay. I got something. That setting, generally your first line, you can tell. So Townes was the biggest negative presence there, or at least the most critical? Well, it was hardest to get his attention. Hardest to get his approval because he knew he was better than the rest of us at that time. We knew it. He knew it, and we knew it. He’d look at you and it’d be like Miles Davis [was looking at you] and [you’d] just look the other way. We recently talked to country songwriter Rodney Crowell about his approach to writing, recording, and the guitars that got away. Read the interview here. How do you feel about others interpreting your songs? Has there ever been a situation where you didn’t like the interpretation of the arrangement, or what you initially intended had been lost? Yeah, lots of times. Early on, I would be vocal about it, but I soon learned to keep my mouth shut. If somebody does something with one of my songs that I’m particularly inspired by, I’ll let them know. If I don’t like it, I’m not going to say a word. I’m just going to be grateful that they thought about recording my song in the first place. Ultimately, my feeling about it is if I write a song and I want to hear it a certain way, I make records. It’s my responsibility to put that particular version out there. I never wrote songs for somebody. I always wrote songs because I’m an album artist. When somebody covers one of those songs, I’m grateful. I may not like their version, but I’m grateful. There have been versions of my songs where I basically say, “Well I’m not doing that one anymore because Bob Seger just made that his own song.” You know? It’s like, I can’t touch his performance. Is there a song that made you want to start writing songs? Is there a song you wish you had written because it was so applicable to your life and just you, in general? There are songs that I wish I’d written. I wish I’d written “Your Cheatin' Heart.” I wish I’d written “I Walked the Line.” I’d wish I’d written “Subterranean Homesick Blues.” I wish I’d written “I Saw Her Standing There.” I wish I’d written “Every Morning Coming Down.” I wish I’d written “Poncho and Lefty.” I wish I’d written “Tokyo Storm Warning.” I wish I’d written “Don’t Give Up. You see what I’m saying? I wish I’d written “It’s Alright Ma, I’m Only Bleeding.” I wish I’d written that one. Yeah, I wish I would have written that one too. I don’t want to copy those artists if I can help it. But when I'm inspired by their work, I want to find my own version of where that artist found their inspiration to come up with that song in the first place. Do you draw inspiration at all from your guitars? Yeah? I’ve seen a bunch of pictures. I think it’s a Gibson L–00 that looks to be from the '40s, black, and beat up. Is that one of your main guitars? It is my prime guitar, and I do draw much inspiration [from it]. When that guitar found me and I that guitar, my guitar playing improved 40 percent. Do you remember where and how you got it? A gift. A gift from my good friend Sterling Ball, who owns and operates Ernie Ball Guitar Strings and Music Man Guitars. He’s a guitar collector and he happened to give me that one. Yeah. I know Sterling. That was nice of him. It’s a beautiful guitar to get as a gift. Yeah. Well, I sang a song at his son’s wedding, and that was the gift. Wow. Is that the reason why you love that guitar so much? Obviously it probably sounds great and feels great, too. [Part of it is] the particular lacquer finish that they put on that wood. The vibration [too]. It’s so lightly braced that the vibration travels up the neck. I feel the vibration of the resin inside the guitar, up the neck, and my left hand responds to it beautifully. It’s almost like the hollow part of the body tells my left hand what to do. I’ve never had a guitar do that. Yeah. Those little parlor guitars or really small–bodied guitars, I feel like people think that they’re going to sound tiny. But I just bought a 00–18, a small–bodied guitar that sounds bigger than any J-200 that I’ve ever played. Have you always been a vintage Gibson guy? Are there any other guitars in your collection that you keep at home rather than bringing out on tour? Yeah. I have a 1937 L–00 — a Sunburst 14–fret — and I have ‘30s Martin. You said you’ve got a 0–18. I think mine’s a 00–17. Yeah, it is mahogany. I have a wartime J–45, 1942. It’s a good one. I use it to record. I also have a 1967 Jumbo that’s a really fine guitar. It doesn’t perform as well as the Banner, but it’s a really fine guitar. I’ve had some really good [electrics] over the years, but because I'm not really an electric guitar player, I wind up giving them away. I just meet somebody who’s a really fine guitar player and I say, "You know what? You need to have this guitar." Can you tell us a little bit more about Banner Gibsons? Yeah. As I'm sure you know, those Banner Gibsons were made by women. It was wartime, and the work force was all women making those guitars. They got a little different feel. That’s interesting. I actually didn’t know that those were all made by women, but I guess it makes sense. Yeah, it was that era. Those Gibson’s are particularly beloved by so many. I have a great one. It’s a girl. I feel that way about my L–00s. I had a 1939 J–35, natural finish with kind of a wedge neck. I let it go. It was a really fine guitar, a beautiful guitar. And in the hands of students, it was a fantastic guitar. But in my hands, it was not particularly conducive to my strength as a player. I don’t keep vintage guitars just because they’re vintage guitars. All the ones I hang onto are the ones that I really can make music with. I don’t like having guitars that I don’t play. When you’re thinking about recording a song, do you automatically know, “Okay, this is going to be played on the J–45. This is going to be played on the L–00,” or something like that? Yeah. Well, if the bands are bigger, the drums are pounding, and I’ve got to take a pick out and basically play right hand, I’m going to do it on that J–45 — the Banner. But the softer stuff — like the opening track [on Close Ties] that Tommy Emmanuel and I do some blues together — I used my little Black Betty [at first]. When we started working on it, I was using Black Betty during rehearsals. But when I put the mics on, for some reason, in E–minor chord (the key we were in) I reached over and picked up the '37 L–00 Sunburst. It spoke with more midrange than Betty was speaking on that particular day, so that’s how I wound up using that one. But the very next tune on the record [“Reckless”], I’m playing Black Betty again. Actually, I used the Sunburst about as much as I used Little Black Betty on Close Ties. Really, those are the three guitars I use. The Banner and the two L–00’s. I did use the J–50 on one tune later on in the album, but those would be the ones. 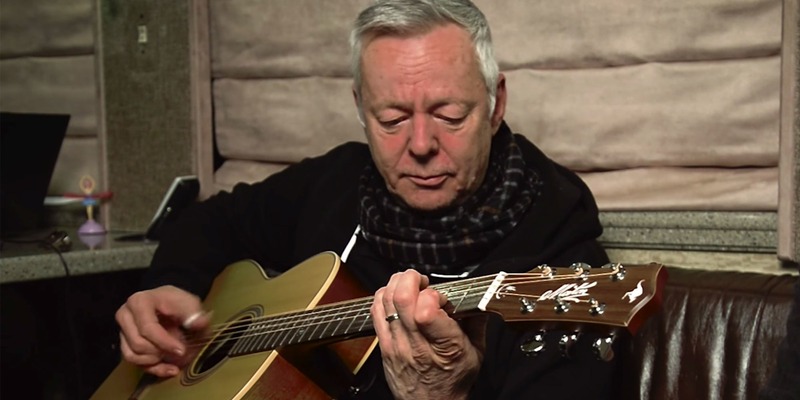 Reverb was lucky enough to catch up with Australian guitar virtuoso Tommy Emmanuel and talk shop as he passed through Milwaukee.